This weekend marks the last full weekend before Halloween, so you know what that means. If you haven’t had your share of fears and frights this season, you’ll need to pack in a few haunted moments this weekend. But don’t fret. 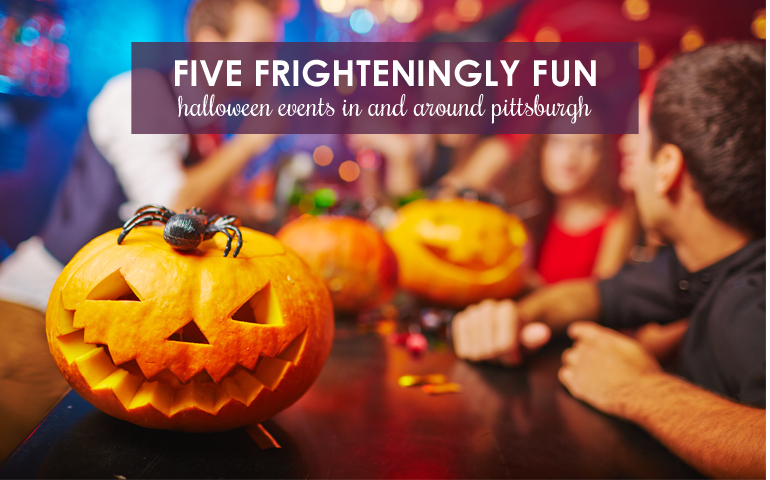 Pittsburgh and its surrounding suburbs are home to many worthy horrific happenings that are perfect to tour through as Halloween approaches. Where can you find one of the nation’s best haunted houses? In Pittsburgh, of course! The city’s South Hills are home to this frightening favorite. This year, Hundred Acres Manor features a buried-alive experience, escape rooms, various haunted areas and even a beer lounge for adults. Don’t think you’ll have time to experience this thrill over the weekend? You’re in luck. Hundred Acres Manor will remain open through Saturday, November 3rd. Located in Pittsburgh’s Etna suburb, ScareHouse is a horrifying haunted attraction that cannot be missed during the Halloween season. With haunted experiences that include zombies, complete darkness and 3D effects, ScareHouse is ready to send your fears soaring. If you’re brave enough, take a stroll through the Basement attraction. But, be warned—you’ll need to sign a waiver before you even enter. Just over an hour south of Pittsburgh in Smithfield, Pennsylvania, scare enthusiasts can find Fright Farm. For the remainder of the weekend and through Halloween night, guests can stroll through various frightening experiences that include a horrifying hayride, a tour through a menacing mansion and so much more. Fright Farm has been a Halloween tradition around Pittsburgh for nearly 30 years and it seems to get bigger and scarier each year! If you’re looking for thrills that are just a bit more family friendly this festive fall weekend, you might want to check out Phantom Fright Nights at Kennywood. Never before has this favorite Pittsburgh amusement park been so thrilling! Experience your favorite attractions, like the Raging Rapids and Noah’s Ark, among zombies, shadows and many other frightening surprises. Finally, if you and your family love Halloween, but are more into cute, cuddly costumes than ghosts, goblins and gore, Idlewild Park in Ligonier might be just the place for you to spend this final weekend before Halloween. Among many of this classic park’s traditional rides, HALLOWBOO also includes everything from trick-or-treating to a monster mash. It’s Halloween fun for the whole family, without the fright and fear of some other haunted happenings. When it comes to celebrating Halloween in and around Pittsburgh, there truly is something for every taste. Whether you’re seeking a good scare or just trying to score a few extra treats, check out one or more of these festive happenings before the Halloween season is over.